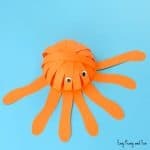 We have a emotions changing octopus ready for you! 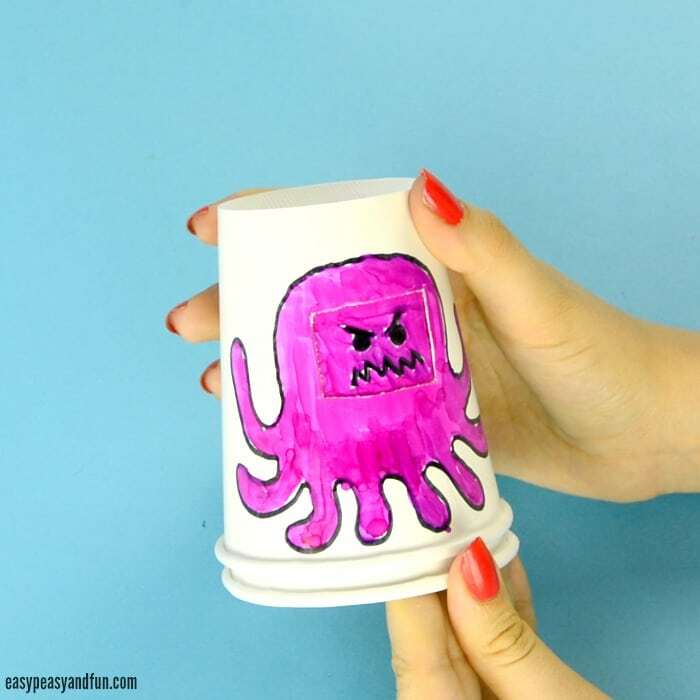 This paper cup octopus craft will need a bit of parental (or teacher) help in one step but it is a great crafty activity for kids to make and play with. This hilariously fun paper cup octopus craft has so many uses. First there is the whole crafy artsy aspect of it – where kids make it. 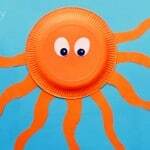 They can make their octopus as funky looking as they want and in all the colors of the rainbow. 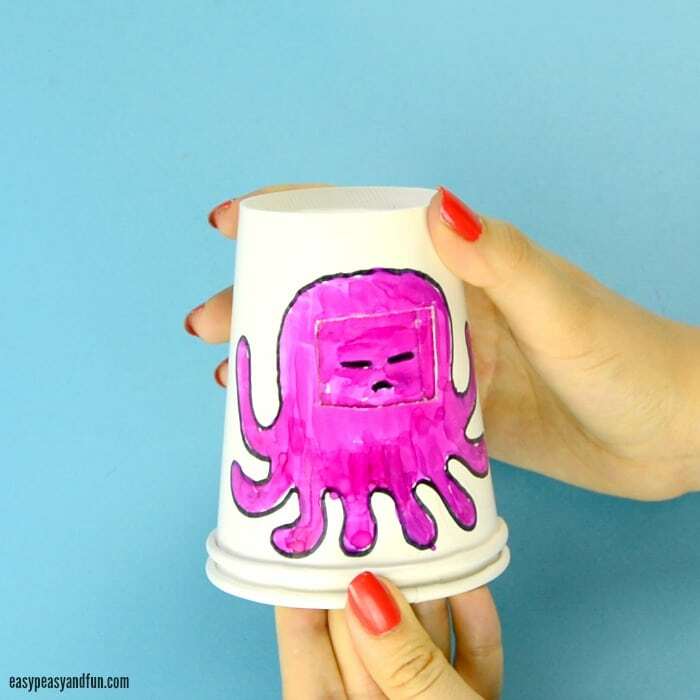 This octopus can then have a whole array of silly faces or emotions. 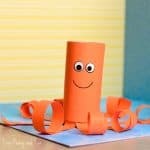 Because of that it will be great to use as a toy when kids are playing, as an addition to story time or as a tool when it comes to talking about or coping with emotions. 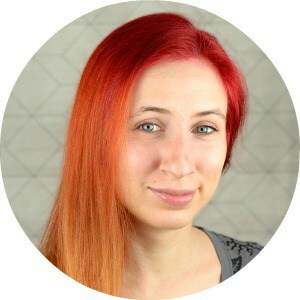 So are you ready? 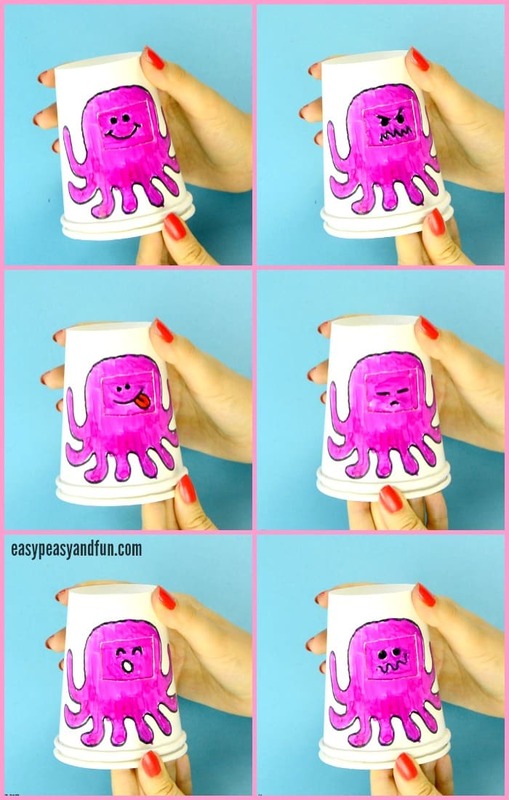 Let’s make a face changing emotions octopus (or any other creature really). 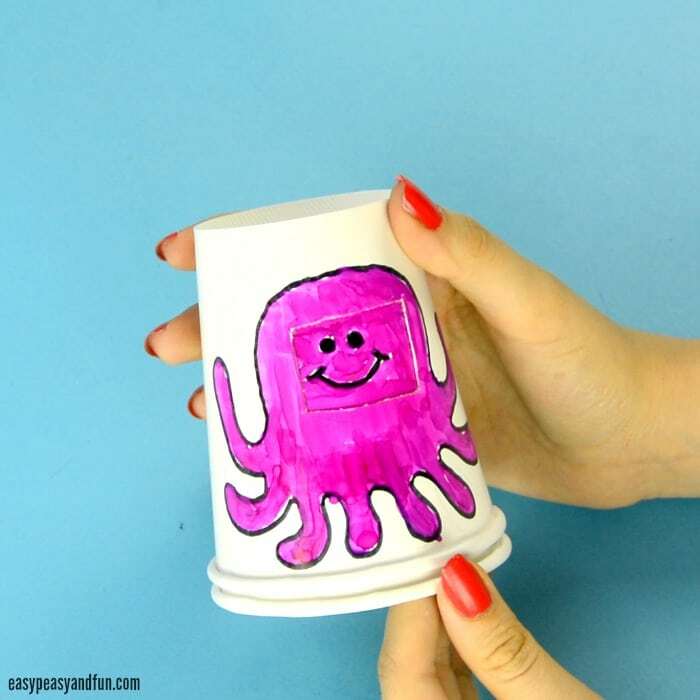 Once you are happy with your octopus craft design draw it with a black permanent marker. Color in the octopus. The color is really not important but we thought our would look nice in hot pink. 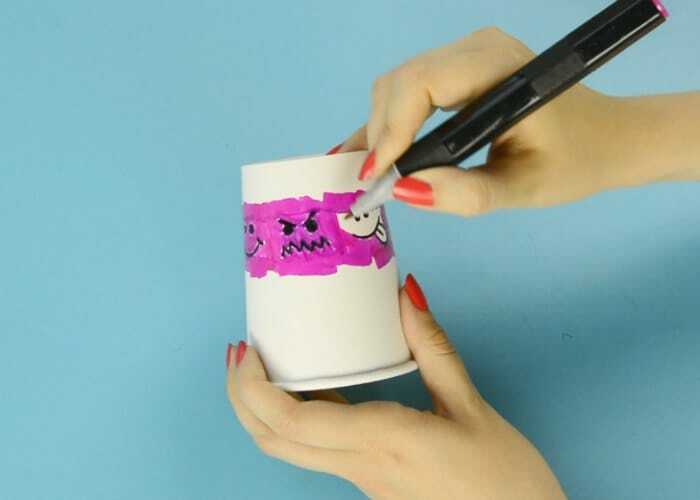 Permanent markers work best although you could just as easily use paints (acrylic etc). Adult only: With a craft knife cut out a rectangle in the head region (we marked it with a pencil to make it easier). Be very careful as the curved surface makes the knife not so easy to work with (or it might be just my overall clumsiness with knives). 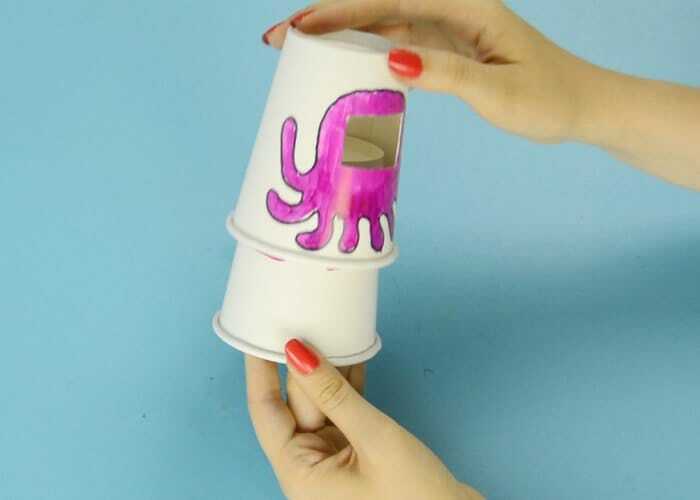 Now that you have one cup with the hole, take the other cup and push it inside the one with the hole (octopus on top). 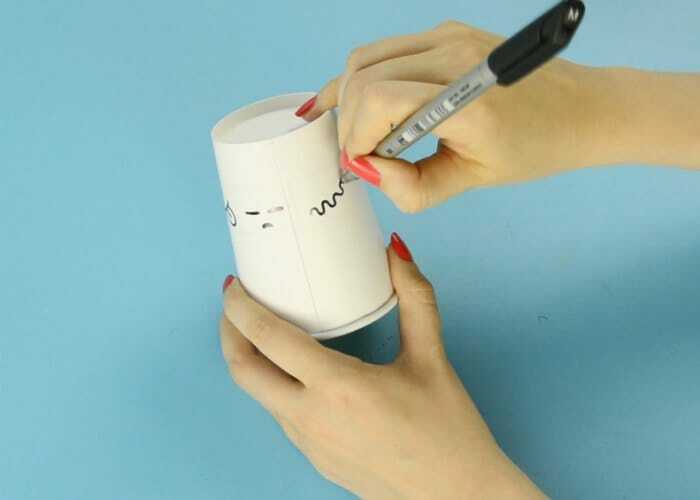 Take a regular pencil and trace the rectangle (through the rectangle hole) to make a rectangle outline on the cup inside. 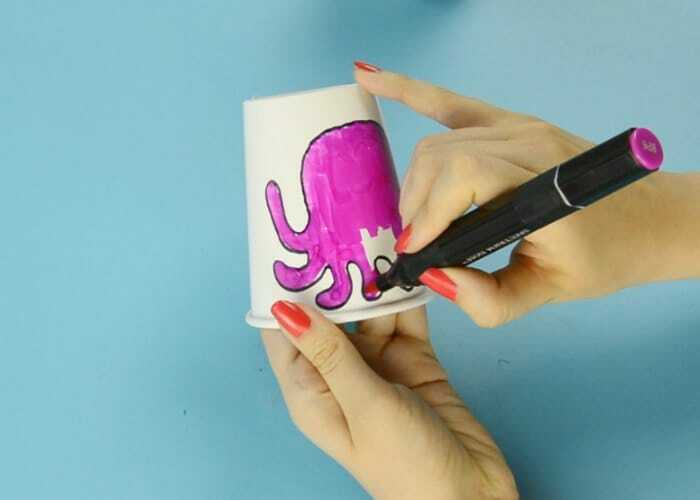 Rotate the cup a bit, moving the square outside of the rectangle and draw another rectangle outline. Repeat until you reach the end. Take the cup out. Draw different facial expressions inside the rectangle outlines. 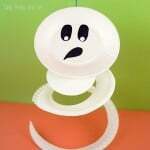 Happy, angry, confused, silly, sad, whatever you like. 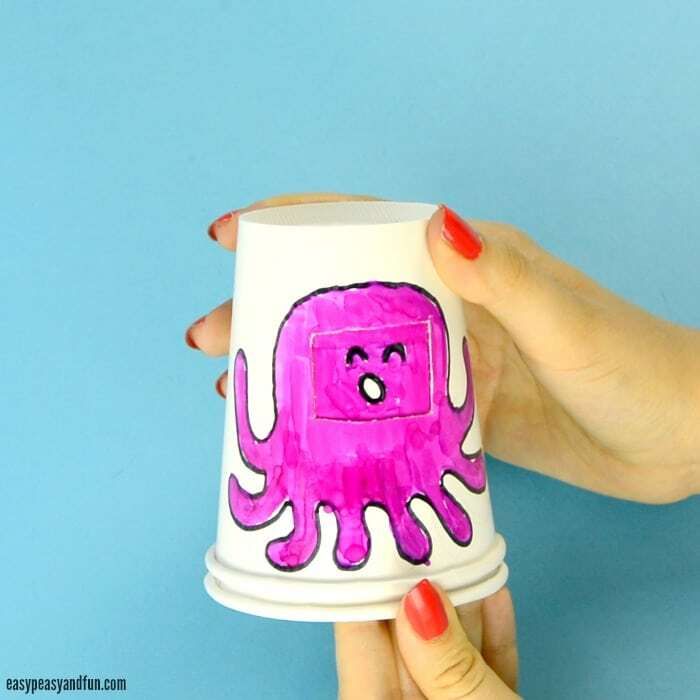 Color around the faces (and over the edges of the rectangles) with the same color as you did the octopus body. Let the color dry for a bit to avoid any potential smudges (it should’t take long). 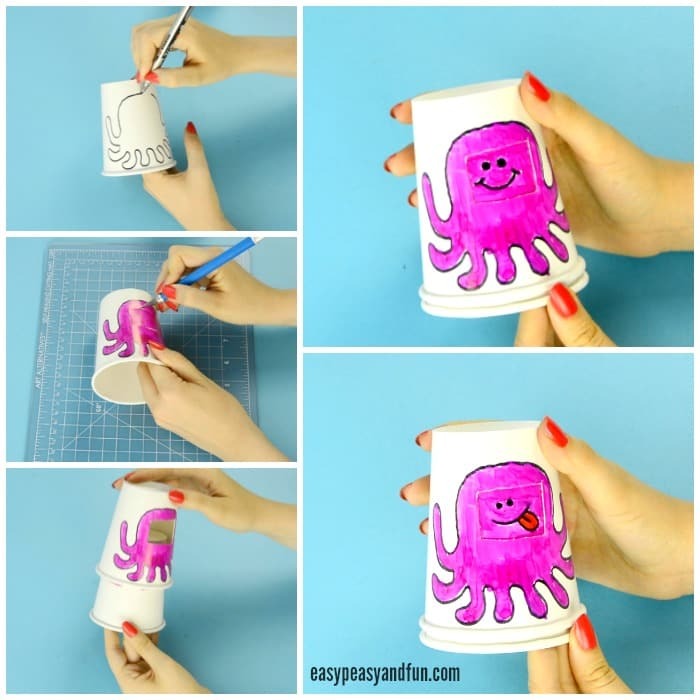 Place the cup with the octopus body on top of the cup with faces. 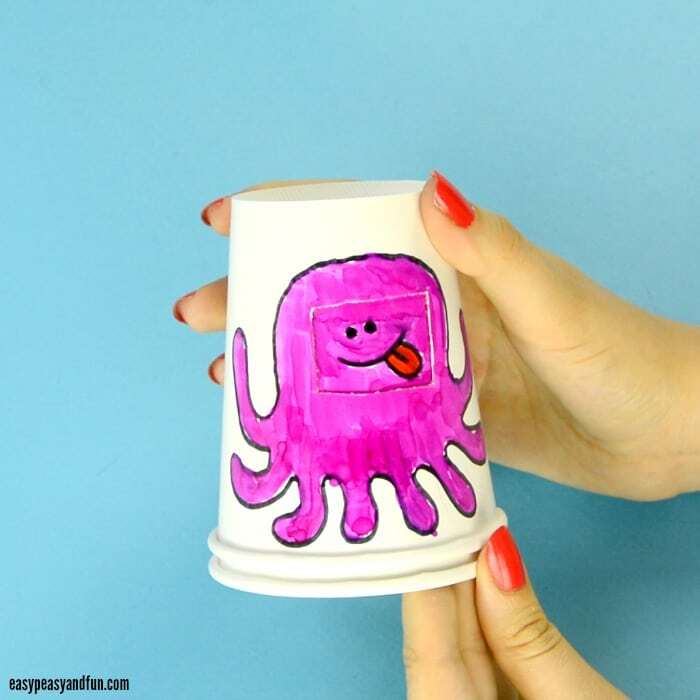 Rotate the paper cups and have fun watching this paper cup octopus craft change it’s face.